– “The Simpsons Spin-Off Showcase”. 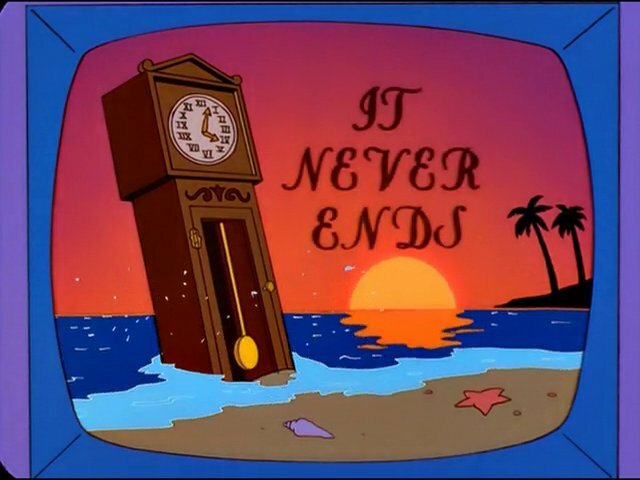 Side note, that was one of the last episodes before Mike Scully became the showrunner. Bucking my prediction from back in the halcyon days of November 2016, FOX has given The Simpsons, surprise, another two-year renewal. Assuming that this is for two full seasons (given that the show often has hangovers aired in the following autumn), this means that the show will continue to take up space on the FOX Network until at least the middle of 2021. Once upon a time, there was this little show called Gravity Falls. You might have heard of it. It revolved around these two kids, their scammer great-uncle, and their misadventures in the small titular town. It was only the best damn thing ever to be produced by Disney, it’s quality all but ensuring my fandom from the moment I watched it and (alongside Red Dwarf) all but consuming my mind during the Spring and Summer of 2013. To this day, I consider it amongst my five favorite TV shows, period. Even with the show’s major following and critical acclaim, I honestly doubted that the fine folks at the Disney Company would authorize a DVD Box Set. I mean, streaming appears to be where it’s at. Besides, Disney has entire sectors of media to take over (even if it did make Ripley a Disney Princess). There is no way that Disney would dedicate resources to a DVD Box Set of a cult TV show. A damn good cult TV show, but a cult TV show. I predicted that a DVD release was out of the question. Then again, back in April 2017, I predicted that Theresa May would grind the Labour Party into a fine powder during the election later that year. Taken from the Simpsons wiki. After 28 years, Alf Clausen has been fired as the composer for The Simpsons. Speculation from Variety was that the orchestra was costing too much, and the accountants decide to strike and increase profit margins over at Gracie Films or 20th Century Fox, or something. To be fair, I will give management the benefit of the doubt on a few areas. Just a reminder for anybody interested that Cartoon Network’s newest show, OK K.O.! Let’s Be Heroes is set to debut tomorrow night (August 1st) at 6:15. For the impatient, the first few episodes are online right now. News, ReviewOK K.O.! Let's Be Heroes! Well, Mr. Burns had done it. With Roger Clemens clucking all the while. Mike Scioscia’s tragic illness made a smile. I just want to give a quick bit of congratulations to The Simpsons for getting Homer Simpson into the Baseball Hall of Fame – primarily for their brilliant “Homer at the Bat”. “Philistines! I mean, how can you remake Casablanca? The one staring Myra Binglebat and Peter Beardsley was definitive!” – David Lister (Red Dwarf, “Better Than Life”) expressing many people’s initial reaction to remakes. Thankfully, he might just be rebutted. 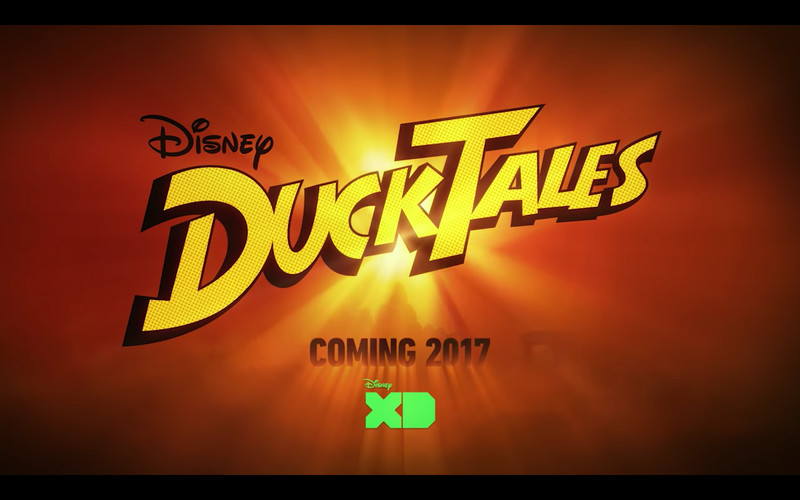 Today, DisneyXD (AKA, that network that made the lives of Gravity Falls fans utter torture) debut a trailer for their reboot of the 80s cartoon DuckTales. It introduced the cast by having them sing the (incredibly) memorable theme song. But, even more notable (especially to people that don’t watch Steven Universe, or are British and/or Anglophiles) is the choice for Scrooge McDuck. FOX has given The Simpsons yet another stay of execution – keeping it on the air until Season 30. The big news out of this is that The Simpsons will beat Gunsmoke in terms of it’s how many episodes it has aired. This makes it, simply put, the longest running primetime scripted show in American history. My thoughts on the show’s quality have been relatively clear, but just in case you need a refresher, it’s time to bring the curtain down on America’s Favorite Family. The reasons have been listed time and again by fans across the internet, and I agree with at least 90% of them. In fact, animation critic PieGuyRulz actually created a video that sums up the central problem with the show – it’s story engine and time within that have effectively damned it to mediocrity.